Q: What kind of legal work do you do in your regular job? 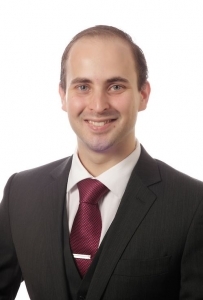 I am a Senior Associate in the Commercial Litigation team at Clayton Utz. I have acted on major complex commercial litigation in a range of matters including contractual claims, disputes under the Corporations Act, shareholder disputes and property disputes. I also specialise in media, advertising, marketing and franchising law. In addition, I advise corporates and individuals in connection with corruption and financial crime, internal and external investigations, corporate governance issues, compliance programmes and risk assessments, including emerging business and human rights risks. Q: How did you get into doing pro bono work and what kind of pro bono work do you do at your firm? 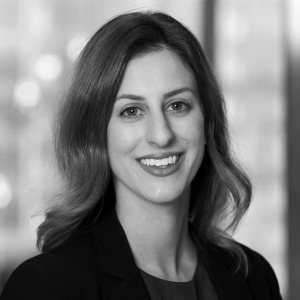 I commenced pro bono legal work from the moment I started as a graduate at Clayton Utz in 2010. Pro bono legal work has been part of the fabric of the firm for 21 years. We all do it. 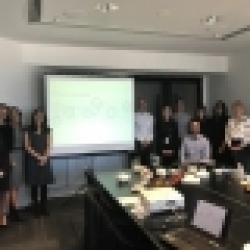 My role as a pro bono coordinator in our Perth office is to inspire our partners and lawyers to do more for low-income and vulnerable clients who cannot obtain Legal Aid, and to build the community legal partnerships which make this work possible. Separately, as a Senior Associate, I work on my own pro bono files and supervise junior lawyers. The pro bono work that we do out of Perth includes seconding lawyers to assist rural community legal centres, undertaking legal work across any of the areas of law in which Clayton Utz practices, and preparing criminal injury compensation claims for victims of crime. Q: How is your pro bono work different from your regular work? pro bono work is not only good for the soul, but it can also be good for the career. However, there is one commercial area in which I specialise which dovetails nicely with my pro bono focus: anti-slavery in Australia. In line with Clayton Utz’s work on slavery cases (see ABC’s Four Corner’s program, ‘Behind Closed Doors’, 12 February 2018), I have been advocating for an Australian Modern Slavery Act, including assisting the Walk Free Foundation with submissions to the Government’s parliamentary inquiry and providing recommendations to the Attorney-General’s Department to help shape the requirements of the proposed anti-slavery legislation. I advise our commercial clients on what they will need to do to comply with the upcoming legislation requirements including by preparing bespoke anti-slavery statements, policies, procedures, clauses for supplier contracts and training for employees and agents of our commercial clients. Q: Can you give us an example of a pro bono case/experience that was particularly memorable? There are many worthwhile pro bono cases I have worked on, but one case that springs to mind really epitomises why we do pro bono work at Clayton Utz. I was successful in setting aside a $23,000 default judgment entered against a refugee, whose past in Eritrea had been riddled with physical abuse. She was sued by her ex-husband following the breakdown of their marriage. Her ex made a bogus claim that our client had deceived him into supporting her Australian visa application, and because she was unfamiliar with our legal system, our client had not appeared in the Magistrates Court to defend the case. I know that getting that $23,000 judgment removed made a really significant difference to the life of our client and her two children, and to her sense of justice in her new country. I work as an associate in the Insurance team at Norton Rose Fulbright, meaning I act for Insurers in defending their insureds when sued or threatened with litigation, or advising insurers on coverage for complex and large claims. I consider it commercial litigation with a bit of spice and very varied clients. I have really always considered that lawyers have an obligation to do pro bono work, because we have such a specialised skill-set that means there are some things people simply can’t do without our assistance. At Norton Rose Fulbright, I do a range of pro bono and CSR work but primarily I am the co-coordinator of the Homeless Persons Legal Service – an initiative of the Public Interest Advocacy Centre – at our firm where we operate out of Wayside Chapel in Potts Point. I also volunteer on a number of pro bono research tasks, a number of CSR programs through our partner organisation ABCN and spend some time outside of work volunteering with Big Brothers Big Sisters. I find the pro bono work I do to be more enriching than my regular work. Whilst the matters brought to me at the Homeless Persons Legal Service rarely require any complex drafting or going to court for trial, the outcomes are more personal and emotionally satisfying to the pro bono client than to the commercial clients I work with in my day-to-day role. One client that sticks in my mind is a client who was being threatened with eviction from a property they were living in. The client was unsure of their rights and at risk of losing everything. It was really eye-opening to me just how much the situation changed when I rang the landlord and spoke the magic words “I am a lawyer”. I think a lot of people take how they’re treated by others for granted, and don’t appreciate how others can be stepped on and over by prejudice and a lack of empathy.